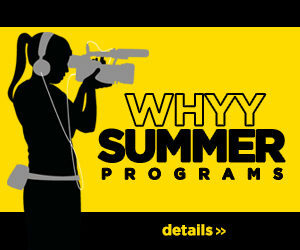 A number of dedicated students from Martin Luther King High School worked together to produce several films in the WHYY Media Lab. Each film was filmed and edited by King students under the instruction of Indy Shome, a WHYY media instructor at the school. Bad Hand: Seniors at King worked after school on a PSA about the impact drug abuse has on families. Gun Violence in Philadelphia: Senior Shamar Wilkins takes a look into the gun violence happening in his community. HRT at King: Student share why they want to go into Health Related Technology (HRT) jobs. Cellphones & Teens: Participants in the media lab asked other King students about their cellphone usage.